The Tennessee Department of Tourist Development unveiled its official 2019 Tennessee Vacation Guide on Tuesday. Designed to inspire travel, the magazine-style guide features 194 pages of Tennessee’s music, scenic beauty, creative spirit, culinary excellence and history is distributed to nearly 500,000 visitors annually. The hand-illustrated cover depicts a quilt with the seven styles of music that call Tennessee home: blues, bluegrass, country, gospel, rockabilly, soul and rock ‘n’ roll. 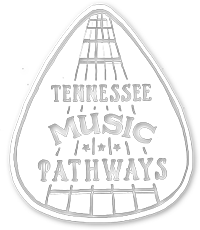 The so-called quilt represents the historical impact of music throughout the state and is a nod to the recently launched Tennessee Music Pathways. In Tennessee, nearly every city, town and hamlet has a musical connection and story to tell; a birthplace, iconic radio station, museum, still-thriving venue, festival, a studio, a home or resting place. The guide also offers insight into Tennessee’s growing food scene, the important historical journey along the U.S. Civil Rights Trail, adventures on water, making memories in a top-five destination nationally for weddings and a perfect place for family reunions, family-friendly experiences and driving tours throughout the state’s 95 counties on the Discover Tennessee Trails & Byways. Stunning photography and noted writers profile the places, people and events that attract more than 113 million visitors to Tennessee each year. The 2019 Vacation Guide is available for free at any of Tennessee’s 16 Welcome Centers and can also be ordered or downloaded online at www.tnvacation.com.